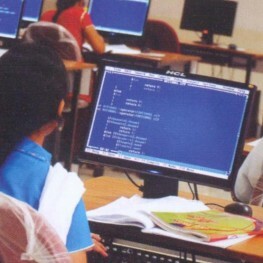 In a world that’s dominated by computer systems, it is but natural that Computer Science and Engineering is among the most sought-after courses. Moreover, with the need for trained computer professionals on the upswing, its demand in the years to come will only remain unabated. The CSE course at Madurai Institute of Engineering & Technology is kept contemporary to update the students on the latest innovative technologies. The curriculum is also revised from time to time so as to keep pace with new developments and provide students with the insight into current prevalent trends. Programming language, Data structure and algorithm, System design, Operating systems, PC software and hardware, Computer networks etc.